DEA agent Cord Granger believes his father's a serial killer, but when the attacks continue after his father is arrested, Cord has no choice but to protect Karina Southerland, the killer's new target. A woman with no memory turns to millionaire cowboy Tyler O'Brien for help learning who she is and why someone is after her. After police chief Zack Scott rescues beautiful and determined Kaylee Brighton from her kidnapper, he must rely on her to bring her abductor to justice. 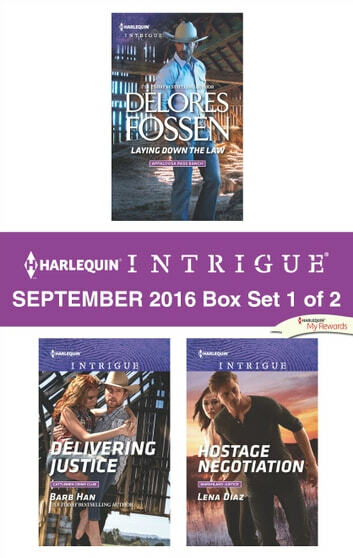 Look for Harlequin Intrigue's September 2016 Box set 2 of 2, filled with even more edge-of-your seat romantic suspense!